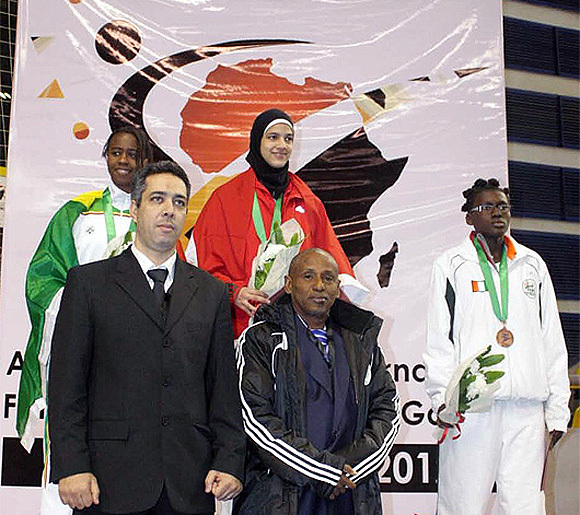 The WTF African Qualification Tournament for the 2012 London Olympic Games wrapped up in a resounding success on Jan. 12, 2012 in Cairo, Egypt after two days of competition. A total of nine countries won at least one ticket to the taekwondo competition of the London Olympic Games through the two-day African Qualification Tournament. Host Egypt clinched four tickets, followed by Morocco with three berths. Nigeria and the Central African Republic each grabbed two berths, while five countries – Gabon, Algeria, Cote d’Ivoire, Senegal and Tunisia – took one ticket each. 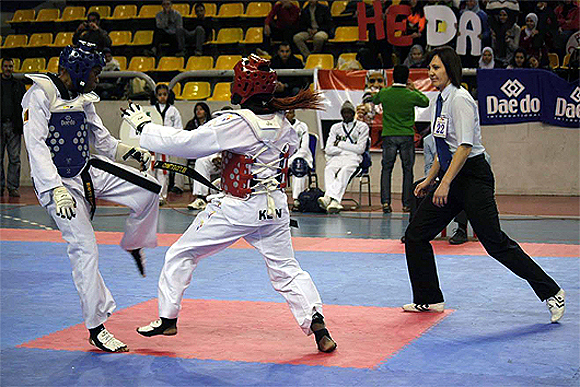 Algeria will participate in the taekwondo competition of the Olympic Games for the first time ever. The Central African Republic was also qualified to participate in the taekwondo competition at the upcoming Olympic Games through the qualification tournament for the first time. The Central African Republic attended the taekwondo competition of the Olympic Games before through the so-called ‘wild card’ invitation. A total of 85 athletes from 30 countries competed for the 16 berths for the taekwondo competition at the London Olympic Games. The tournament took place at the Cairo International Stadium. On the second and final day of competition, Egypt’s Hedaya Wahba took top honors in the women’s -57kg category as her final opponent, Senegal’s No. 1-seeded Bineta Diedhiou, withdrew from the final match. In the men’s -80kg division, No. 1-seeded Chernoubi Issam of Morocco qualified his country a berth as he defeated Egypt’s Abdelrahman Ahmed 6-1 in the final match. Issam advanced to the final as he crushed Tunisia’s Yacine Trabelsi 12-3 in a semifinal match. In the women’s +67kg category, No. 1-seeded Wiam Dislam of Morocco earned her country a place by defeating Aminata Doumbia of Mali 10-0 in a semifinal match. Khaoula Ben Hamza of Tunisia also secured a ticket as she outpointed her semifinal opponent, Azzeddine Linda of Algeria, 9-1. Wiam clinched the 1st place honor as she punched and kicked her way to beat Ben Hamza 3-1 in the final match. In the men’s -68kg division, Patrick Boui of the Central African Republic brushed aside a stiff challenge from Senegal’s Balla Dieye in a semifinal match to win the match 5-4 and qualified his country a ticket. Nigeria’s Isah Adam Muhammad beat his semifinal opponent, Wahid Briki of Tunisia, 8-5 to earn his country a berth. Boui won the top honors as his final opponent, Muhammad, withdrew from the match.